The Vespa GTS 300 has been updated with a new engine, and now makes more power and is said to be more fuel efficient. No word on India launch as yet. Piaggio has launched the most powerful Vespa scooter ever, the 2019 Vespa GTS 300. The GTS 300 was unveiled at the 2018 EICMA show in Milan, and Piaggio had announced that an updated Vespa GTS 300 line-up will be introduced, which now gets a High-Performance Engine (HPE). The new Vespa GTS 300 is powered by a 278 cc, single-cylinder engine which puts out 23.8 bhp and 26 Nm of peak torque, and those specs make the GTS 300 the most powerful Vespa ever! Updates to the engine include new pistons and cylinders which are said to improve the engine combustion chamber's efficiency and increase the horsepower by 12 per cent and torque by 18 per cent. According to Piaggio, while performance has improved on the Vespa GTS 300, it's more fuel efficient than before. The engine also meets the latest emission regulations, and is Euro 4 and Euro 5 compliant, and comes with standard traction control. 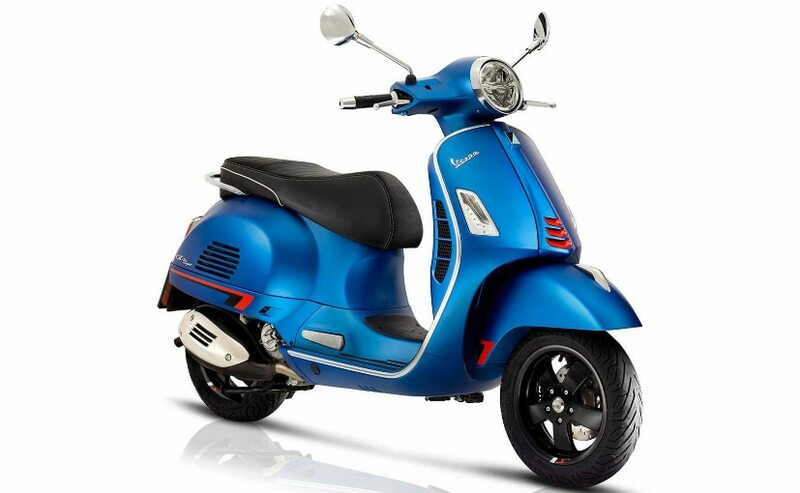 The Vespa GTS 300's steel body has also been updated with a new LED headlight and a new seat design. The underseat storage is ample enough to store two open-faced helmets, and also features a USB charging port. The scooter now gets smartphone connectivity via Bluetooth. A Bike Finder app also helps riders locate the scooter in crowded parking lots. The instrument panel is part digital, part analogue, with the speed displayed by a conventional needle, but distances and fuel economy numbers are displayed on a small TFT screen. The Vespa GTS 300 is offered in five options - GTS, GTS Touring, GTS Super, GTS SuperSport and GTS SuperTech. So far, there's no word if Piaggio will introduce the new Vespa GTS 300 in India.